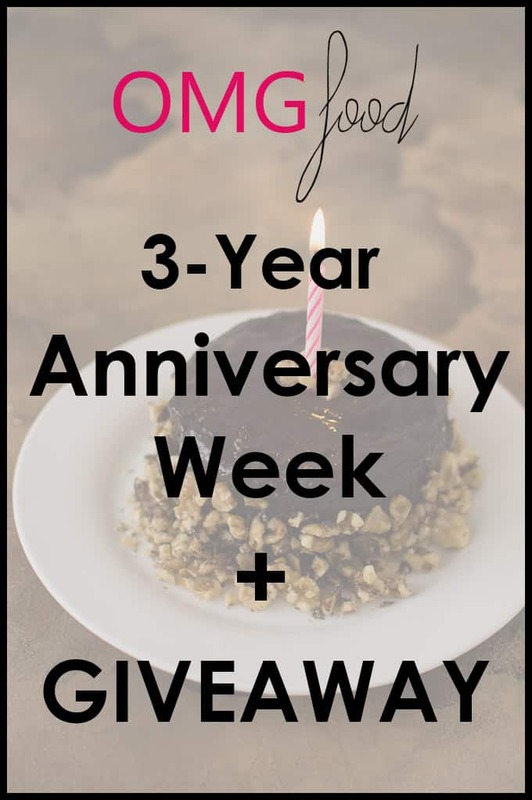 OMGfood 3-Year Anniversary Week + Giveaway! It’s been three years, friends! Can you friggen believe it? I mean, can you even? On February 20th, 2014, I clicked that giant “LAUNCH” button and I suddenly had a blog out in the world. Two recipes were posted and they were full of annoying ramblings (probably) and awful photography (definitely). 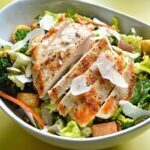 At the time, I was living a paleo-ish lifestyle and decided I would share mostly paleo/gluten-free recipes and occasionally include foods outside of those realms. I was maybe 70/30 on the paleo thing and had been for over a year. I figured that lifestyle would stick and blogging about it would too. Then I remembered I really love bread and cheese and bourbon and cake and realized that kind of lifestyle, at least strictly, was personally not for me. So after taking a few months off from blogging, I revamped the blog just a tiny bit. In December of 2014, I removed the “paleoish” label and kept on moving. Still, the blog didn’t really have a direction. 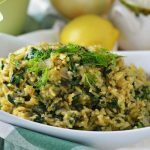 I posted recipes, sometimes at random, and I enjoyed doing it. Sometimes, people would ask me what my niche was and I didn’t really have an answer. I just liked food! And I wanted to share food with all of the people in Internet Land. Fast forward to later in 2015. Something had clicked. I’ve always had a strong connection to Mediterranean-style cooking; Greek, especially. It wasn’t until I was having a conversation with a friend that I realized I should be focusing more on that. 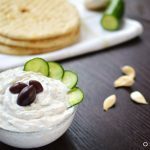 So I started posting more Greek and Mediterranean food! And I’ve started diving into incorporating Middle Eastern flavors too. I still have so much more to learn about so many cuisines. And I love it. Then, in January 2016, I got laid off from my full time job in the video game industry. I was crushed. I loved that job and I loved the company I worked for. I wasn’t sure I wanted to stay in games after that for various reasons. Many aspects in my life during that time desperately needed a refresher of some sort. So I started with a passionate project of mine: this blog! I updated its theme, changed a couple of colors, and I even made a super tiny/barely noticeable change to the title itself. While it was a pretty small change in appearance, it was much more than trivial. It was the sign of a fresh start. A new life! It was exactly what I needed. After that, 2016 was mostly, um, stressful. And those struggles made blogging a challenge at times. But I love sharing with you. And I want to thank you! 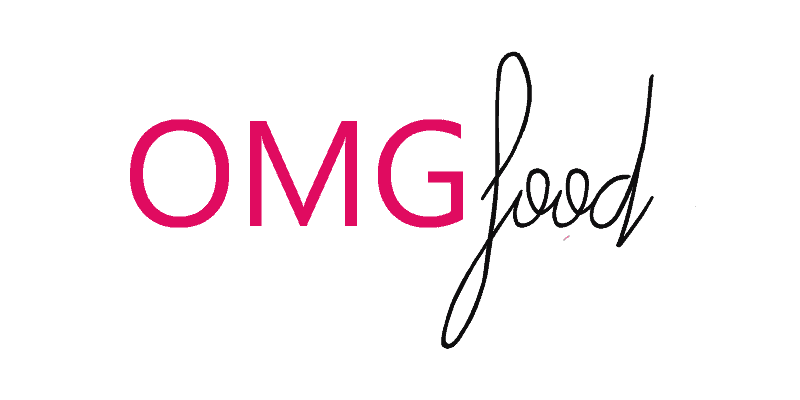 Without you, awesome readers, OMGfood would be nothing. And to celebrate the blog’s third anniversary, I want to give you a little gift! A $50 Amazon gift card. You can use it however you please! Maybe you want a new cast iron skillet or dutch oven? Or you want to buy an Instant Pot! Or maybe you want to play Breath of the Wild as badly as I do when it comes out in March. You can read more details on the giveaway and enter near the bottom of this post. 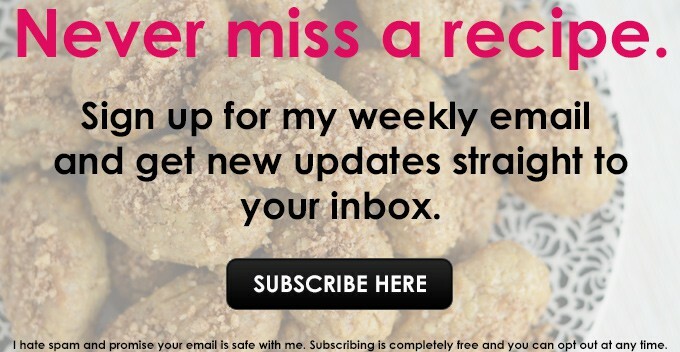 Want to take a little trip down the OMGfood memory lane? Let’s do this. When I first started blogging, I knew nothing about photography and it shows when you go back to older blog posts. The first two blog posts were taken with my then-iPhone and overhead lighting in my kitchen. I had purchased a DSLR and started using it after my second or third blog post and it’s hilarious to see the progression of photos over time. Obviously, I’m going to celebrate this anniversary with delicious cake! 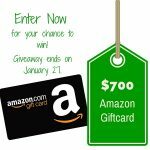 Enter for a Chance to Win a $50 Amazon Gift Card! The Giveaway Ends on March 10th. Yay, giveaway! I couldn’t think of a better way to celebrate the blog’s 3rd anniversary. You all have been awesome by continuing to be an OMGfood supporter and I wanted to give back. Enter the giveaway by doing any (or all!) of the entry options below. Each option counts as an additional entry. When the giveaway ends, the winner will be picked at random and notified within 48 hours. Please note that only residents in the U.S.A. and Canada are eligible. The giveaway ends on March 10th, so be sure to enter before then! Disclaimer: This post may contain Amazon affiliate links, which means I make a small commission if you make a purchase through them. By purchasing through these links, you are helping support this site! I only recommend items I personally own and love. It’s A New Year! Time For A Giveaway! 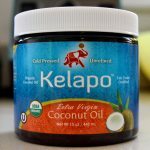 What’s In My Pantry: Cooking Fats! I would buy an Amazon Kindle with my gift card if I won. Then I would load lots of e-cookbooks on it! I love sushi and chocolate chip cookies too! Though maybe not together. 😉 A hair dryer is a necessity. I would use the gift card to buy new clothes for running! I am training for a marathon. Yesssss, I love a good coffee. I think my favorite food is filet mignon and sweet potato soufflé! Thanks for the giveaway! I like your taste buds, Janet! You are making me hungry. Hi! Congrats on your 3 year anniversary. I would buy my daughter some birthday gifts. Her birthday is next month, and we are having a pizza party for her. She loves Pizza! I would buy books for my kids. Thank you! The blackened chicken alfredo with zucchini noodles looks amazing. I’ll have to add that to my list. Thanks for the giveaway! If I won I would buy a new travel bag for our upcoming vacation. Shopping for a vacation is one of my favorite parts about vacationing! Happy 3 year anniversary! 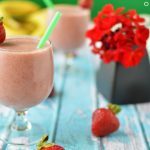 These recipes look fab! Congratulations on 3 years! I love the evolution of your food photography. Not that it was bad to start with, but when compared to the more recent ones you can notice a difference. Keep up the great work and always keep learning. Oh, and a shout out to my favorite food: chicken fajitas! Thanks for your kind words, Emily! Chicken fajitas are where it’s at! There’s so many things on my Amazon wish list….if I win I could make a tiny dent in it! Thanks for the opportunity! Oh my gosh congratulations on the three amazing food filled years. I so enjoy your recipes so much. I love any kind of pasta or Italian food. (my waist line shows it too! ) . 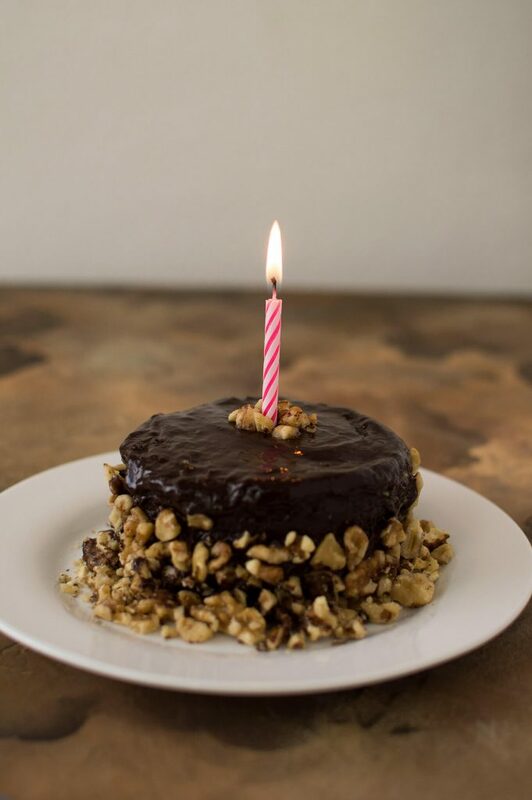 Thank you for all the great recipes and fun food ideas I look forward to so many more years to come! Yay!! Congrats and happy 3-year blogiversary!! I love this post and seeing your photography progress! There are many items I would like and now I’m down to an Instant Pot or a baking donut pan. I would love to buy a new cookbook from Amazon, thanks so much for the chance to win ! Cookbooks are my favorite kind of books! I just got a Kindle so I would load it up with books. Thanks so much for the chance! Happy Anniversary! Awesome! I would buy some cookbooks! As for food I love all things chocolate (I am a true believer it is a health food). CONGRATS ON 3 YEARS!! Here is to at least 3 more! If I won, I’d put the $50 towards a new set of pots and pans. Mine are getting old and aren’t so attractive anymore. Ooh, I love this idea! I just recently upgraded my stainless steel set because my old ones weren’t all that attractive either. Congratulations! It must have been hard to get let go of a job you loved so much. I know what it is like to be stressed, as I had left a job to help take care of an elderly parent. I got my real estate license, and you never knew if/when you would make a sale. It can be exhilarating and scary and definitely stressful is you are the only one paying the bills, mortgage, and car etc., and yet you can still have a good time and make out OK. I love your photos, you are really good! I learned to use a camera for taking house pictures. I tried a blog once, for fun, it lasted about two weeks, and only two posts. It takes a lot more umph than it looks! So true congrats are in order, and some “serious” celebrating!!! I LOVE food also but unfortunately, food loves my waistline! lol. I’ve recently changed the way I’m eating and found that not only is my waistline getting smaller but my heartburn issues are also improving. That heartburn can be a real downer! I’ve been starting to notice there are certain foods I need to limit now myself and I’m not happy about it. Congrats on 3 years of awesomeness 🙂 I would buy an immersion blender so I can up my soup making skills. Thanks Heather! I have an immersion blender too and it’s one of my favorite kitchen tools; especially for making homemade mayo! Happy 3 anniversary.. blogs are hard work. And i would use it towards new baking pans. Need new ones. Thanks for a chance. I would buy some dvds if I won this one. I would love to buy some things for our new house with the gift card. Thanks for the chance to win. Happy anniversary! Yay, house things! Thanks, Christina! I would give this to my husband so he could buy something from his Amazon wish list. That’s so generous of you! I would get a rolling pin and pie plate if I won. My favorite food right now is penne paste with vodka sauce. I like all of these things. You could make penne and vodka sauce for dinner and have a bombass pie for dessert. Thanks for the giveaway, Imwould use it to buy new baking pans. Hooray for baking pans! They are always a necessity in my opinion. 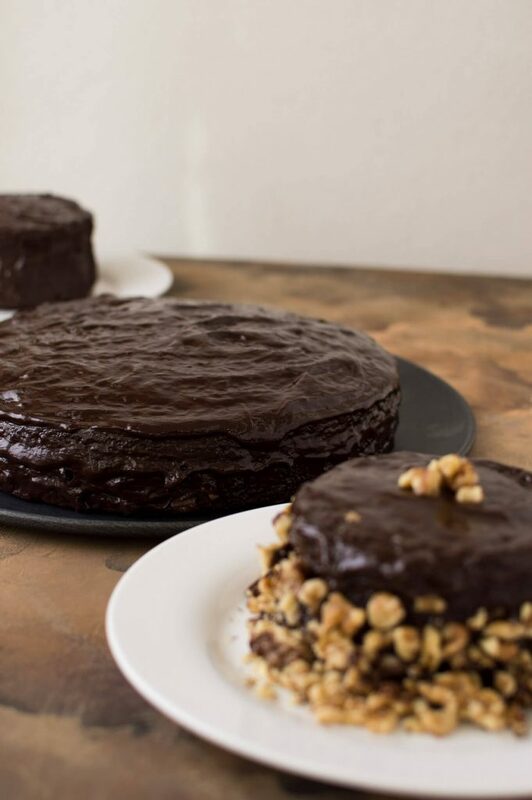 Cake all day, every day! Gee, what I could buy with the prize. (Actually, I want to get a himalayan salt lamp for my oldest daughter and also one for me, but have so many other items, too, on my wish list). I love the recipes you post. 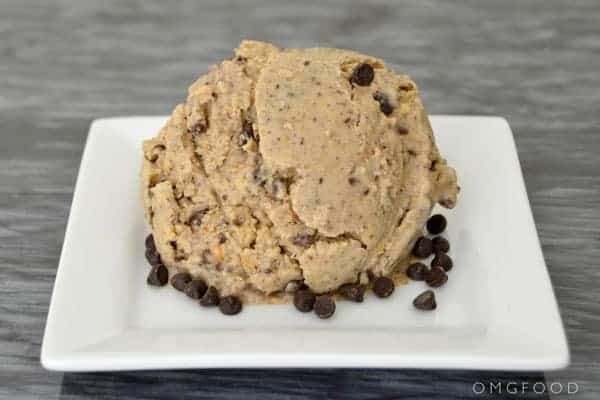 I’m trying to expand what I make for my family (unfortunately, my husband often won’t even try new foods, but my middle daughter still lives at home and she and I are always up for experiencing new tastes). I do a lot of Japanese cooking, but am trying to find some basic recipes from other countries to add to my recipes. I’m also interested in finding more vegan and vegetarian recipes. My daughter and I do meatless Mondays, and sometimes go meatless on other days, but I really need some good main course meals that contain protein and enough of everything else to be satisfying. I love corn flake chicken! Exciting! I have moved so much over the last several years. While I hope it’ll be a while before I have to do it again, I love the feeling of moving into a new space! Congrats on the 3 year mark! Hope you have a lovely weekend. Thanks so much, Sarah! I hope you enjoy your weekend too! Thank you SO much for the giveaway! My favorite food has to be tacos! mmmm! I love Shepherd’s Pie and desserts especially poke cakes and trifles. I love your recipes! 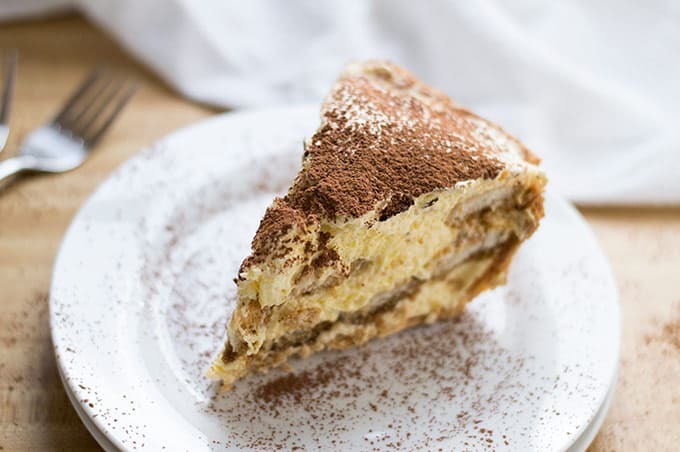 Especially the tiramisu pie! Congrats on your anniversary, it takes a lot to come up with great content like you do. I just got an Instant Pot and I am so excited to try some recipes in it. Happy Early Birthday to your son! I always love a new pair of sandals! 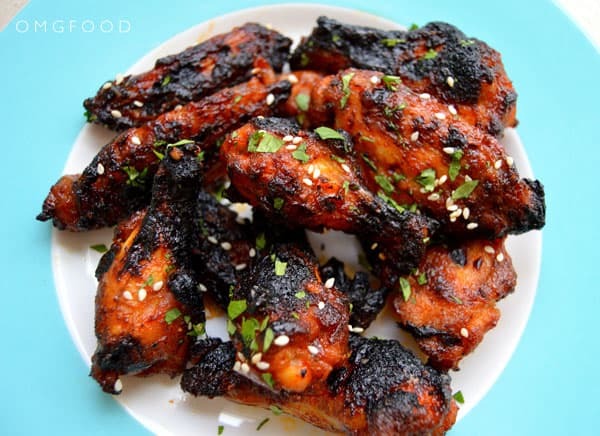 I’ve been kind of crazy about chicken wings lately. Trompo Pastor Tacos, big juicy burgers, Crab Cake Eggs Benedict, rhubarb pie, brownies of any kind….I could talk about food all day long!! My favorite food would have to be any type of tacos; it seems to be my thing to come up with crazy but delicious tacos. I so love a good enchilada! I love cheese, every kind of cheese! MY FAVORITE FOOD IS PROBABLY PIZZA. I LOVE TO MAKE DIFFERENT KINDS 🙂 AND, THE KIDS LOVE PIZZA NIGHT TOO ! Mmm, pizza. I love a good pizza night too! Paella is my favorite food! My dad was born in Spain. I absolutely love a good paella. Spanish food is one of my favorites. I have a few books on my Amazon Wish List that I would purchase if I’m the lucky winner. Thanks!! Hi Marissa! Hope you’re having a great weekend! My favorite food is Chinese food. Thanks Donna! I hope your weekend was great too! Chinese food = love. YES! A new game is an excellent choice. Hi, I would order more peanut butter and Nutella for my students. The school provides apples and they love these toppings for them. All the food depicted here looks great! I was “drawn” to the Honey Sriacha Wings! Love sweet with spice. I’ll have to try that on my chicken or maybe an aoli! I would use the amazon card probably to buy food and/or dog supplies. Thanks! Hello! I would use the gift card towards a laptop for my son to use this Fall when he begins college! Thanks for the chance! Yay! A laptop will definitely come in handy. I have been really loving chili lately, with lots of tomatoes and bell peppers. Yes, please! I love a good chili. Oh those all look so good! 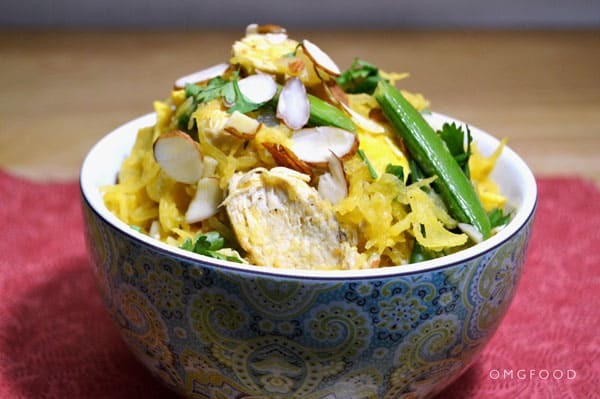 I have to make your Paleo Pad Thai! Pad Thai is one of my favorites! My guilty pleasure….Lasagna! I would use the gift card to buy books for my daughter, Thankfully she loves to read! An excellent choice! Reading is a good hobby to have. My favourite food is garlic. I put it in absolutely everything I cook. Garlic is pretty much the best. New to your blog! 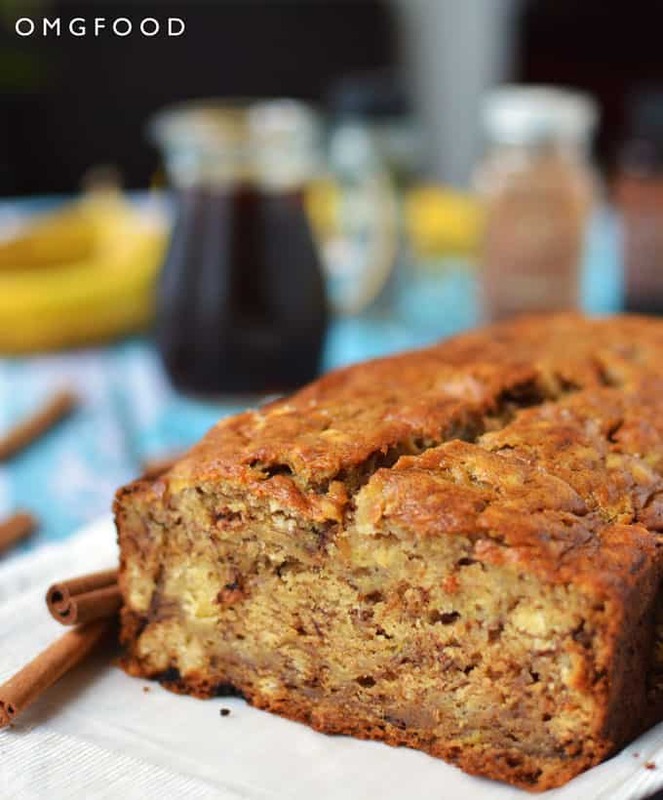 Your recipes look divine! Will be trying some soon for sure. Thanks for this fun giveaway too! Hi! I’d have to say my all time favorite food is Pizza!! I’d use this towards my son’s birthday party! Yay for pizza and yay birthdays! Congrats on the third year anniversary:) awesome blog you have. I love pasta any kind of pasta! Hi, my favorite food is Italian. I would probably use the gift card on my kids rooms. I love me some Italian food. My favorite favorite FAVE food is coconut shrimp!! COCONUT SHRIMP IS ONE OF THE GREATEST THINGS ON EARTH. CAPS LOCK NECESSARY. Today I had some delicious chilaquiles! i need to buy new bras my dryer for some reason ripped two of mine in half! LOL yes the same time! so I would use the 50 amazon for that!! Oof! The struggle is real. I actually started air-drying my bras because the dryer would end up destroying mine too. Stupid bras. Lately I’ve been on an Asian noodle kick: if it has noodles (or zoodles) and any kind of Asian sauce I’m in! Hello there. If I won I would put it towards a new pair of shoes for my daughter. Thanks for this chance. I am a big fan of pasta! I like creating pasta dishes using one skillet. My favorite is combining hot sausage, Italian spices and fresh diced tomatoes. Happy Blogversary! I like the way you think, Betsy! I love food too. It’s only 10:45 and I’ve already had cereal, chicken nachos and some See’s Candies. HA! If I won, I’d buy books since my husband is working on his Masters! Nachos before noon = winning at life. They are my ultimate weakness. <3 So, so good. My favorite food is a double bacon cheese burger. I love biryani! It’s up there on the list as one of my favorites too. I would buy a kindle if I won. Thanks! Hi!! and thanks for the chance to win such an amazing giveaway. If I get very lucky to win, I would definitely buy some organic food for my daughter since she needs to follow a special diet due to her chronic condition. It’s all about tacos anytime of the day but it shows on me..